Zeilschool Zuidlaardermeer has been taking care of holiday weeks for over 40 years. From those 40 years I have been helping myself for 14 years. I started myself as a student here at the sailing school, after that i became a dinghy instructor, later on i was a head instructor and lastly as company director. I started with the takeover in 2018 and from 2019 i will be the autonomous owner. All ideas about teaching, holiday weeks, material and being an instructor, shortly: over the years I have been able to shape the sailing school the way it is supposed to be and am still busy with developing new things. It is fun to notice that the students come back to sail every year (75% comes back) or even teach nowadays. My first students from 1980 currently bring their kids here for a holiday week. I see this as a huge compliment and a confirmation for our ideas about taking care of the weeks, where safety, quality, personality and most of all fun are the most important things. The sailing school can be found at "Landal Waterpark de Bloemert". A beautiful park provided with a marina, a huge bungalow park, midget golf course, a nice pavilion and so much more. On the most beautiful place of the park, right near the lake you will find the sailing school. Room enough for a great holiday in and surrounding the clean shallow waters of the Zuidlaardermeer. As a student you will live in our extremely new accommodation "de Zuidkaap" for a week. In this building you will vind a big recreation room (with a beautiful view on the lake) and a half opened kitchen (so you can see and smell all of the delicious food that is being prepared). With nice weather we will eat outside on our, half above water hanging, veranda. The Zuidlaardermeer is the ideal lake for the sailor or surfer who is just beginning. The sailing school uses different parts of the lake, so that every discipline can get to work on a good and comfortable part of the lake. For example the optimists have classes on a shallow part of the lake so that the children can easily stand everywhere, if they have to. Another advantage of the lake is that there are almost no commercial ships. Which means that all the disciplines, especially the dinghy discipline and the Black Birds, can safely explore the entire lake. The lake is also not too big, so that on sunny days we can for example go for a picnic at different places around the lake. The size of the lake also has the benefit that, in case of an emergency, a supervisor can be present very fast. 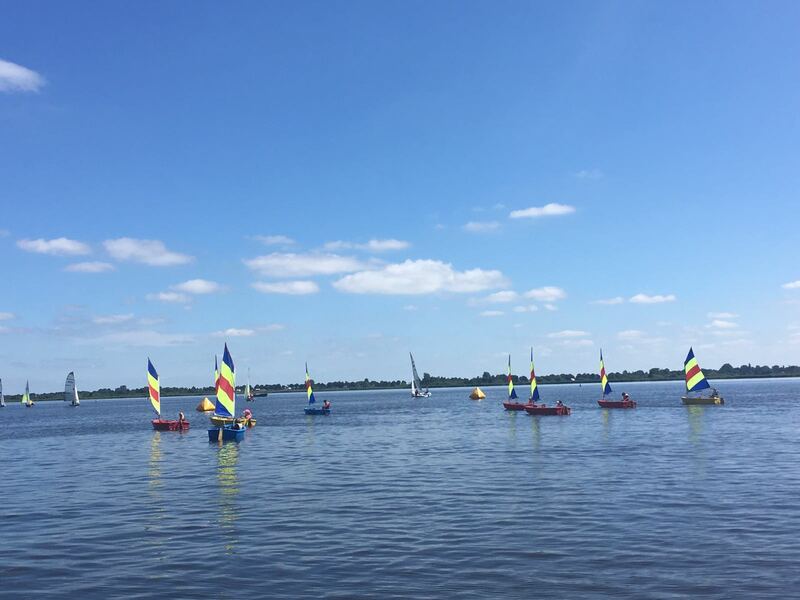 In short the Zuidlaardermeer is a beautiful and safe place where everybody can learn to sail er surf with a lot of fun. 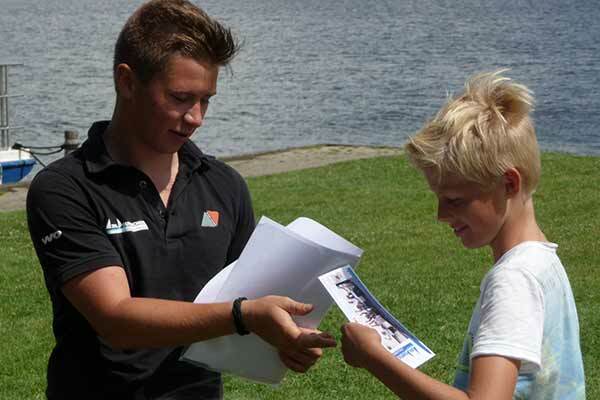 Our sailing school is connected to the national organisation Commissie Watersport Opleidingen (CWO). De foundation CWO is a collaboration of the ANWB, the Watersportverbond and the HISWA. This foundation puts the goal of a uniform diploma system for voluntarily sailing education and keep this standing. There are diplomas for almost any water sport discipline (e.g. : keelboat sailing, youth sailing, sea sailing, surfing etc.). CWO also sets requirements to boats, surfboards, other materials and safety for contestants.. A CWO-school takes care of good education and features diplomatic instructors.